If these sound like the stuff of science fiction or imaginary tools of James Bond's gadget-master Q's trade, think again. They are real-life devices created by the CIA's Office of Technical Service. Now, in the first book ever written about this ultrasecretive department, the former director of OTS teams up with an internationally renowned intelligence historian to give listeners an unprecedented look at the devices and operations deemed "inappropriate for public disclosure" by the CIA just two years ago. This is truly a unique book -- a long, unique book. However, potential readers (listeners) should not be intimidated by its sheer length. To the contrary, its varied themes, part CSI, part spy stories, part behind-the-scenes history, make it an interesting and entertaining collection. At first glance, it may appear that this book was written just for those who enjoy reading spy novels and Popular Mechanics, or Popular Electronics. The technical details are adequate to tell the amazing story of the CIA's engineers and technicians, but they may not satisfy dedicated technophiles. This is not a "how-to" book. 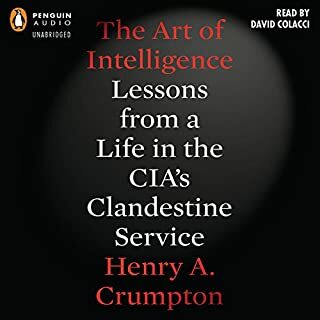 After all, there are security concerns about releasing the material in this book, and the authors obviously want to tell the story of these resourceful, creative CIA officers to as wide an audience as possible. By avoiding excessive technical minutiae, they were successful in keeping the book informative, yet readable. With all of the post 9-11 CIA memoirs and histories that have been released in the past several years, it is difficult to decide what to read about this organization that plays such an important role in our nation's defense and security. 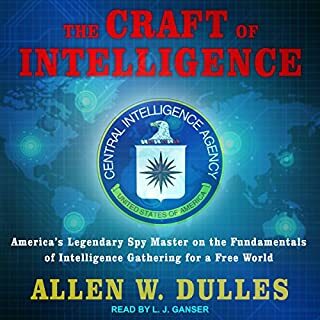 However, this book, due to its unique technical insider perspective, stands out from these others as a "must read" for anyone who seeks to have an understanding and appreciation of the CIA's past, and more importantly, its future. 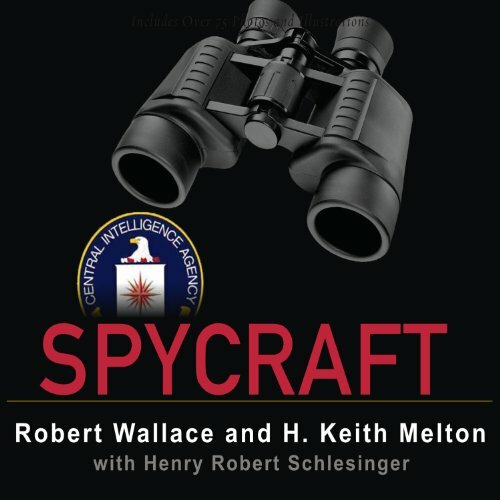 Spycraft, an important work that must be listen to/read and understood, especially in light of cooling relations with the Russians(once again). Anyone who has lived through the cold war will remember the tensions of the 'doomsday' clock and how it colored our world. As I remembered living through those times I felt there was an under current beyond our perception, struggling for domiance. This book details the struggle and fills in all the things you thought must have been happening. 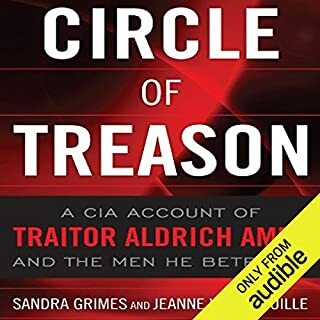 I was given a MP3 copy of some of the book, liked it so much I bought the Audible book. This book has stayed on my iPod even after listening to it. The history and stories in this book are fantastic, it gives you a new view into this part of our history. As an audio tech this book was the best. A great history of all the hard working technical folk protecting America behind the scenes. Bright and creative, working behind "the cool spies" the are the folks who made them cool. This book kept me laughing with the crazy ideas that worked! This book is Techno-Weenie Heaven. I personally have to deal with developing and evaluating new tech, and adapting stuff to tasks for which they were never intended. So, for me, this book is like crack. Loved it. One of the best espionage related books availble! If you are interested in the CIA or espionage, you must purchase this book. 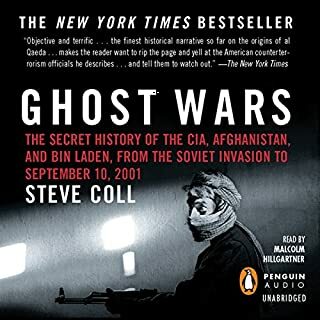 I learned more from this book than from all the other books I have read on the CIA combined. EXCELLENT BOOK! This is not a "spy novel." It is really 3 different histories in one book. It is interesting and well told, but will bore those who are looking a fast paced story. There are lots of good twists and turns however. The real "Q Branch" from James Bond!!! 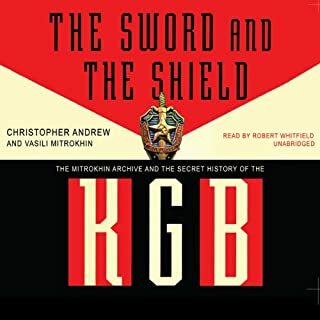 This book is a must for anyone interested in Cold War Spy History. 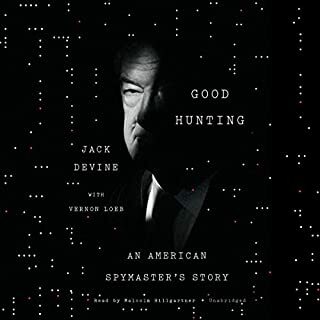 It is really the story of the men who designed the listening devices, cameras and cool gadgets that helped us gather the intelligence we wanted from our adversaries. It is also the story of the men crazy enough to go in to some of these places to install them. A bit dry at times, but the authors make everything come alive so that you can understand what they are talking about even when the topic is very technical. Mr. Wallace, Melton and Schelsinger have truly helped us peek inside one of the most amazing parts of our history. It always helps when the reader of the audio book (David Drummond in this case) is engaging, and this was definitely an example of that. It actually felt like he was the one who wrote it, it was so smooth. The content is fascinating; exploring spy technology from the old OSS up through now. It was really cool to hear about how audio surveillance has changed over the years. Today we forgot just how much transistors and integrated circuits have truly shrunk things. Another great aspect is the personal touch, the book is not just about the technology but the people in the OTS ("techs") who deploy (frequently at high risk) the surveillance or even defuse bombs.